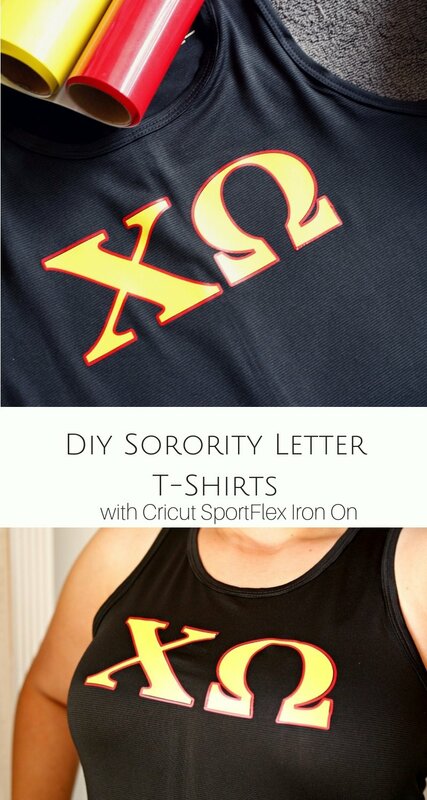 Get ready to make some DIY sorority letter t-shirts with your soon to be new favorite Cricut product - SportFlex Iron-On! 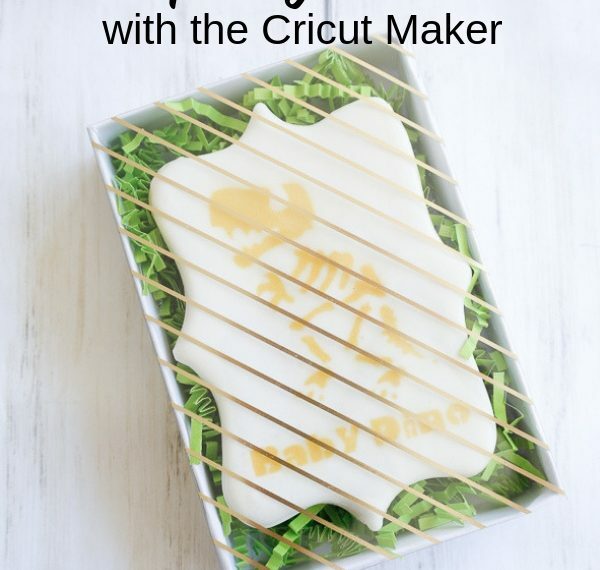 It seems every time that I use my Cricut Maker, I find myself wishing that I had one back in college. Even though I've always loved arts and crafts, I got really serious about crafting when I joined my sorority. It's where I learned how to scrapbook, build a balloon arch, and create all kinds of decorations with basically just paper. I also used to make my own sorority letters to wear around campus. It was a little tedious - tracing out Greek letter on the back of iron on backing, fusing that to my fabric of choice, cutting the letters out, sewing the layers together, and finally stitching them onto a t-shirt. It took about 2 to 3 hours to have a new set of letters. Unfortunately, they didn't always turn out perfectly. 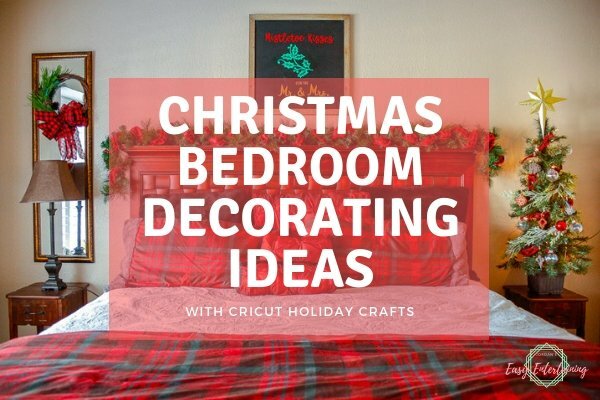 So once again, Cricut has me wishing I had a time machine! 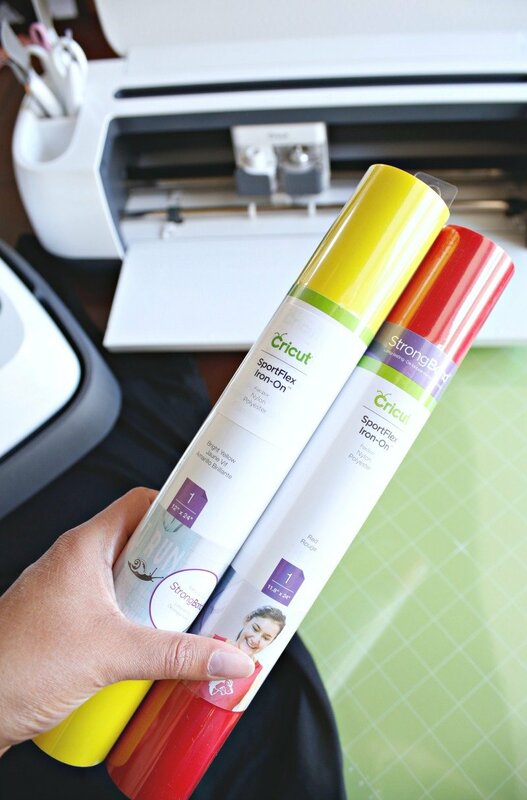 Cricut has just come out with a new material called SportFlex Iron-On. This stuff is amazing!!!! It's great for active wear (I'm using an active wear tank top today) and also on other stretchy materials. As you may have guessed, I'm a Chi Omega. 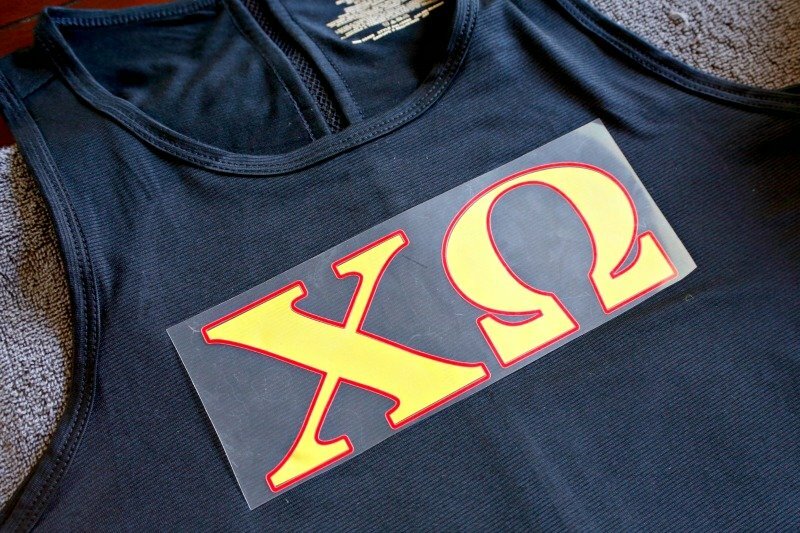 So if you're a Chi Omega too, this project is ready and available for you to cut out in design space. 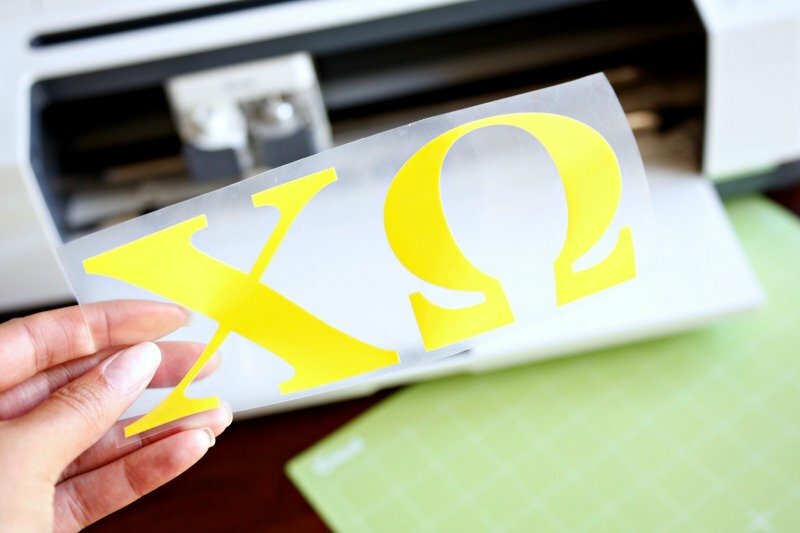 If you are part of a different sorority or fraternity, you can find Greek Letters in Cricut Design Space here. 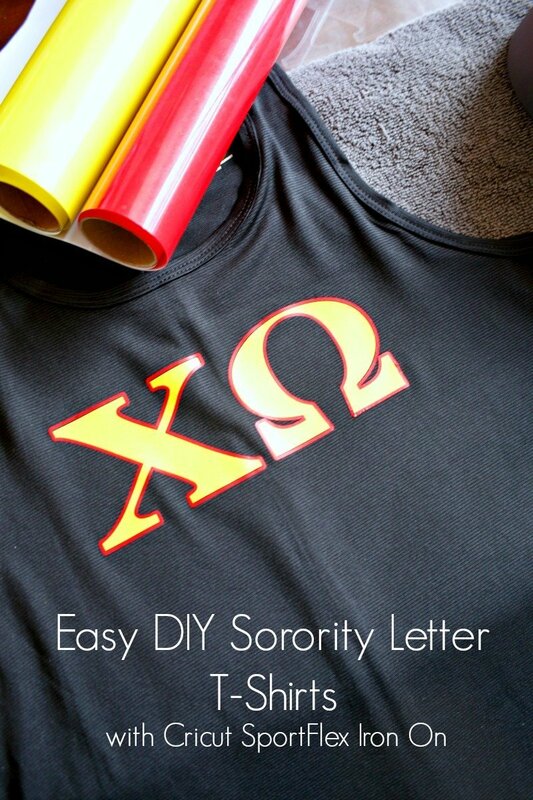 Since I decided to use two different colors for my sorority letter t-shirt, I used the knockout method. 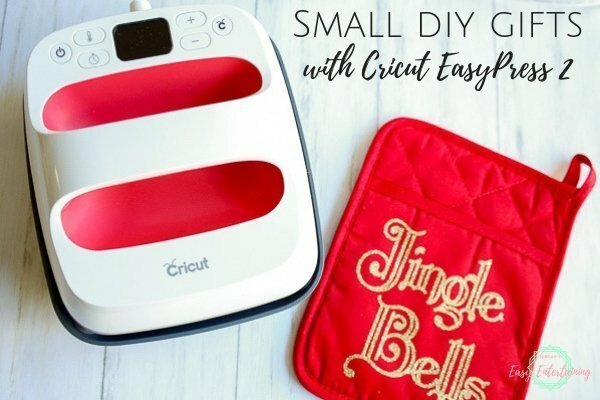 You can find a great tutorial over on the Cricut Blog on how to do this from Jessica of Every Day Party Magazine. Basically, you size your design to whatever you want it to be, and then duplicate it based on how many layers you have. Then you slice the images and remove the excess. 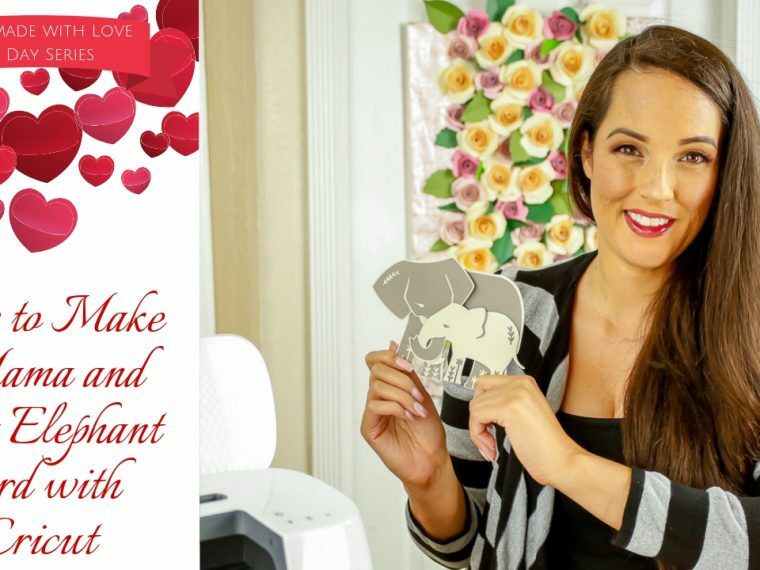 Cricut recommends that you do not use more than 2 layers of SportFlex Iron-On, so the knockout method is really perfect for this project. 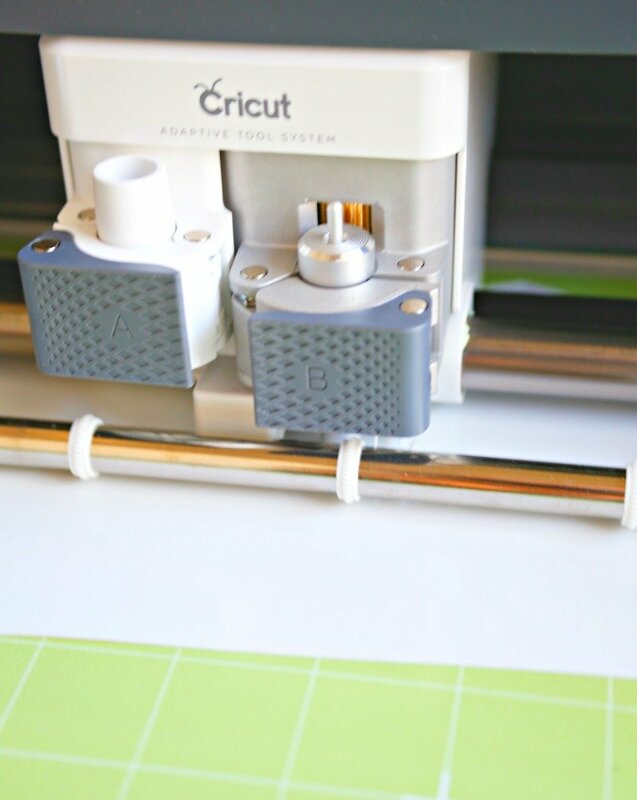 If you have a Cricut Maker, SportFlex Iron-On is now listed in the cutting materials. 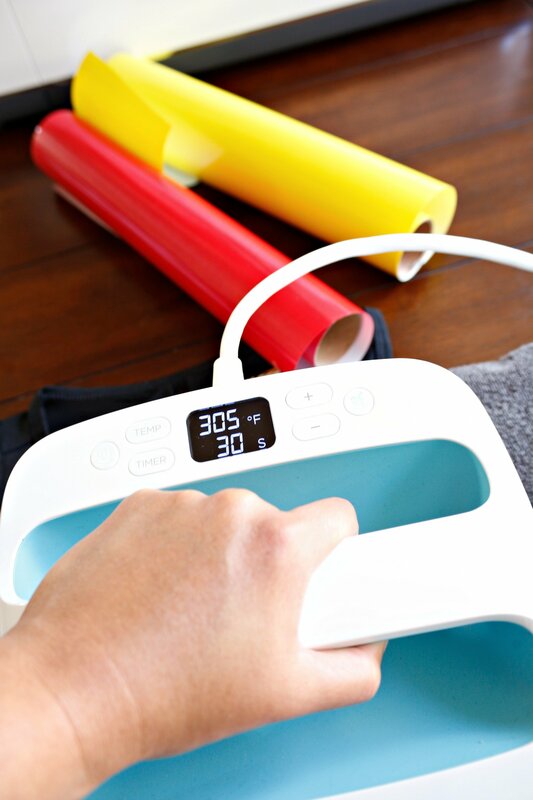 Make sure to turn the Mirror On setting to on and lay the SportFlex Iron-On onto your mat with the shiny side down - which means the colored side should be facing down. Then get to cutting! 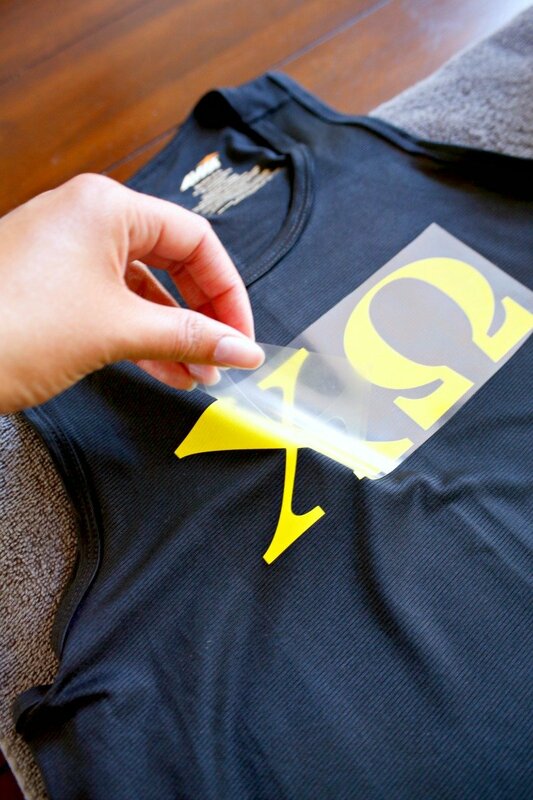 Remove the excess SportFlex Iron-On from the plastic backing and place the inner letters onto your t-shirt after using your EasyPress to pre-heat the area for 5 to 10 seconds. For Cricut SportFlex Iron-On, the EasyPress setting is 305 degrees for 30 seconds. Once the first layer is ironed on, wait until the material is cool to the touch to remove the plastic sheet. Next, line up the outer letters to match up as closely as possible to the inner letters. Fortunately the SportFlex Iron-On backing is see-through which makes this pretty easy to do. Then use the EasyPress again for this second layer. Once again, wait until the material is cool to the touch before removing the plastic backing. That's it! 15 - 20 minutes to have a brand new set of sorority letters versus the two to three hours it used to take. I love that SportFlex Iron-On is thin, lightweight, flexible, and stretchable. 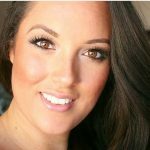 It completely solves the problem of creating images on form fitting clothing material like active wear. I can't wait to make more fun t-shirt designs and sorority letters in different colors! I may not be in college anymore, but I'm a Chi Omega for life! I'll be wearing letters until I die LOL. 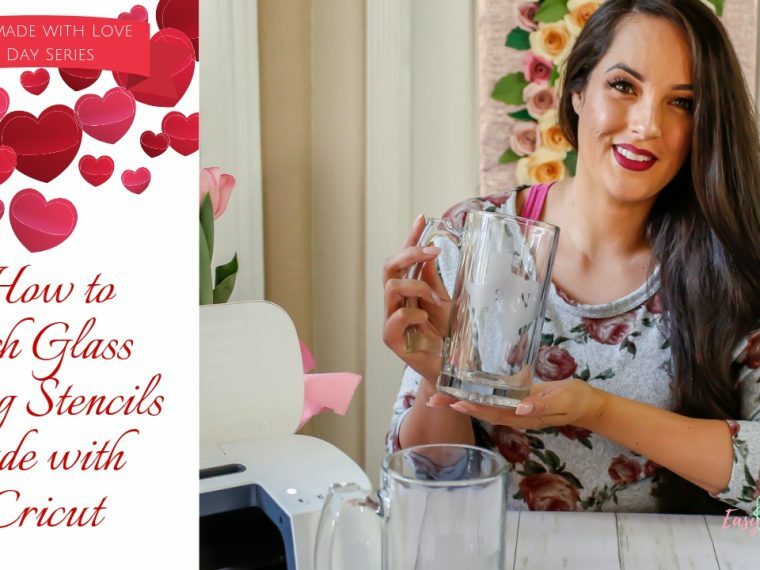 If you enjoyed this tutorial, sign up for my newsletter to stay up to date on new posts and for exclusive free printables! What a great idea! This is awesome for college girls!!! So neat! I have a Silhouette but I feel like the Cricut has way more options. I would love to make shirts for my kids that are a bit more durable! What a great new product! 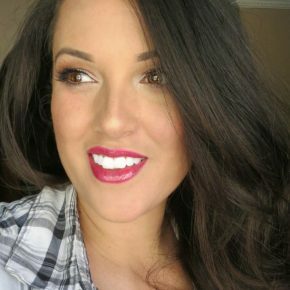 I’m so excited by all the possibilities.